21st Annual Bowl for Jason's Friends Saturday, March 2, 2019! 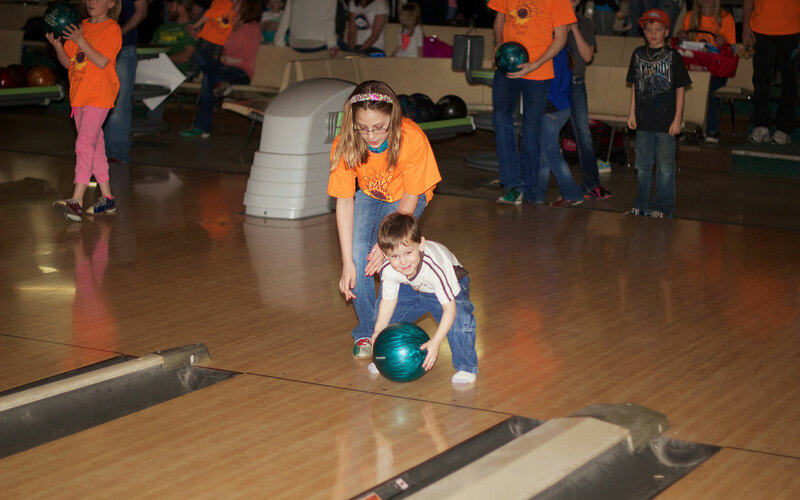 The 20th Annual Bowl for Jason's Friends event was held Saturday, March 3, 2018 where we honored and CELEBRATED the almost 1000 bowlers who collectively gathered money to help Wyoming kids with cancer. With everyone's help we were able to raise over $325,000! The success of our fundraiser is a direct result of great community and statewide commitment and participation. We couldn't do this without the generous support of our Corporate, Lane and Prize sponsors and all the bowlers who gathered generous donations for our great cause. 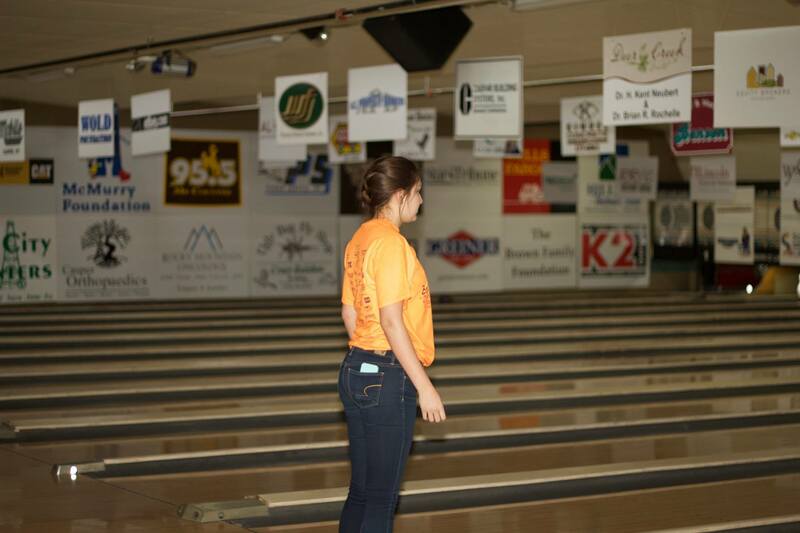 The Bowl for Jason's Friends Foundation annual fundraiser is a fun community event involving nearly 1000 bowlers and even more donors and sponsors at El Mark-O Lanes in Casper, Wyoming. 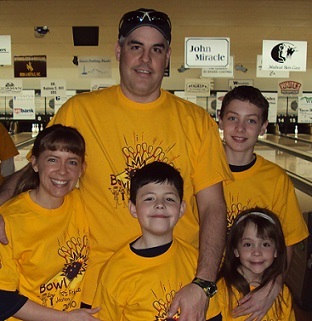 The proceeds raised from Bowl for Jason's Friends are the primary source of revenue for the funding we provide to Wyoming families enrolled in our program whose children are battling childhood cancers and brain or spinal cord tumors. RECRUIT a team of 5 bowlers, including you. A team may represent an organization, business, school, friends, family, etc. Age or bowling ability does not matter. You may put together several teams of 5 with a designated Team Captain for each team. PRINT the Team Captain Instructions. REGISTER YOUR TEAM one of two ways. We have 8 time slots available to bowl – 10:00 AM, 11:30 AM, 1:00 PM, 2:30 PM, 4:00PM, 5:30 PM, 7:00 PM and 8:30 PM. 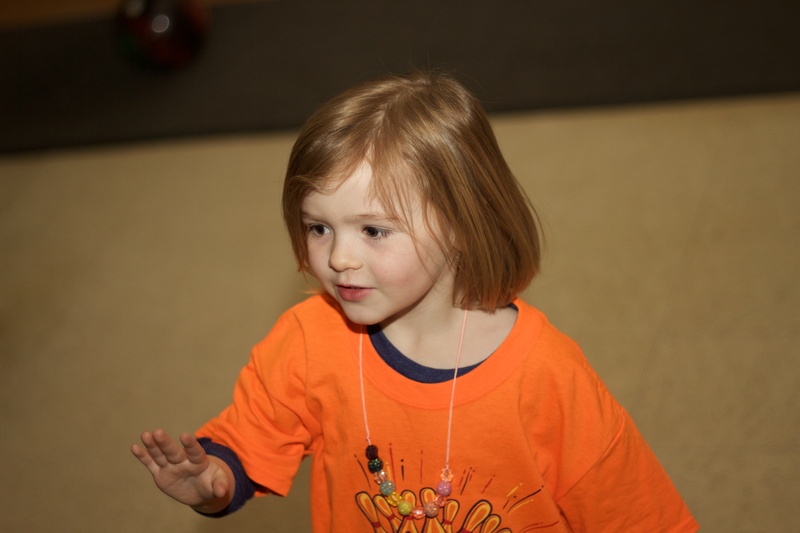 Register early to ensure your first choice of bowling time. Every effort will be made to assure you are able to bowl at your preferred time. REGISTER BY PHONE by calling Jason's Friends at (307) 235-3421. Print the Team Registration Form and return it to Jason's Friends to complete your team's bowling time reservation. You may hand-deliver or mail it to Jason's Friends, 340 West B Street, Suite 101, Casper, WY 82601 or fax it to (307) 265-4668. UTILIZE THE BOWL FOR JASON'S FRIENDS PERSONAL FUNDRAISING PAGE!!! DISTRIBUTE the Donation Envelopes from the Team Packet to your teammates or print them HERE. Team Packets can be picked up at any First Interstate Bank, any Hilltop National Bank, El Mark-O Lanes or at the Jason's Friends Foundation office at 340 West B St, Suite 101, Casper. Point out the prizes available to win for most donations collected. Ask your team to start collecting donations immediately! Encourage your teammates to collect at least $75 in donations to help meet our fundraising goals, earn a FREE t-shirt and be entered into a drawing for the opportunity to win a prize! The more they collect, the more chances they have to win! Review the Tip Sheet for Bowlers. COLLECT ALL donations prior to bowling. There will be no billing to collect donations after the event. BOWL at your reserved time on the day of the Bowl. Please have your team arrive 20 minutes before your scheduled time and check-in at the Registration Table. Have each bowler bring their Donation Envelope showing the contact details, amounts and total of their online gifts plus amounts of cash/check donations and place all money collected in the envelope. JASON'S FRIENDS PHANTOM BOWLERS ARE WELCOME! If you are unable to participate as a bowler for the event but desire to collect donations for this great cause, become a Phantom Bowler. Phantom Bowlers are eligible to participate in all other aspects of this fun event, including the incentive prize packages competition. Team Packets (available after February 1) can be picked up at any First Interstate Bank, any Hilltop National Bank, El Mark-O Lanes or at the Jason's Friends Foundation office at 340 West B St, Suite 101, Casper or print HERE. 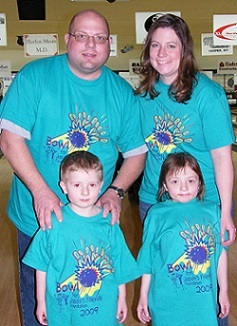 Collect all donations prior to the Bowl for Jason's Friends event. Bring your Donation Envelope or sheet stapled to an envelope showing the contact details, amounts and total of their online gifts plus amounts of cash/check donations and place all money collected in the envelope. 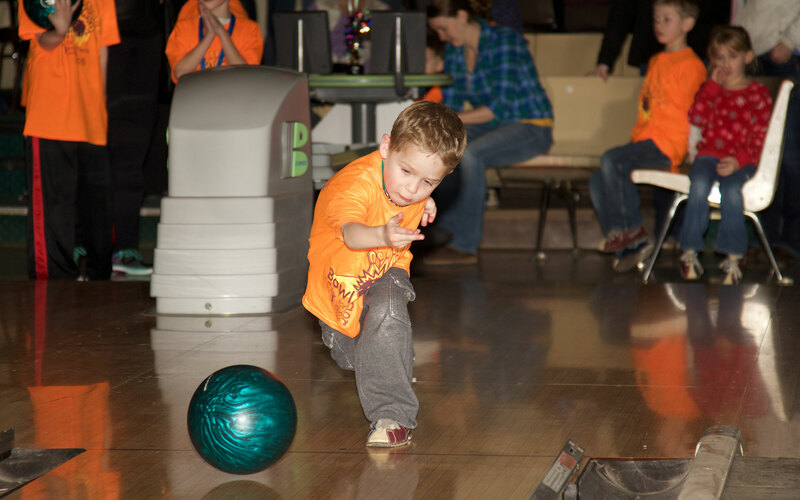 Prior to the Bowl, you may mail or hand-deliver your Donation Envelope to Jason's Friends Foundation at 340 West B Street, Suite 101, Casper, WY 82601 –OR– turn in your donations at the Registration Table the day of the event at El Mark-O Lanes. Our sponsors are a huge part of the success of the Bowl. Click the link below for details to participate as a Corporate Sponsor ($2750 or up with extensive advertising benefits for your company — details on form), Lane Sponsor ($350 or up; receive a Lane sign at the event.) or Prize Sponsor. If you have any questions, call Jason's Friends Foundation at (307) 235-3421 or click here to email us. 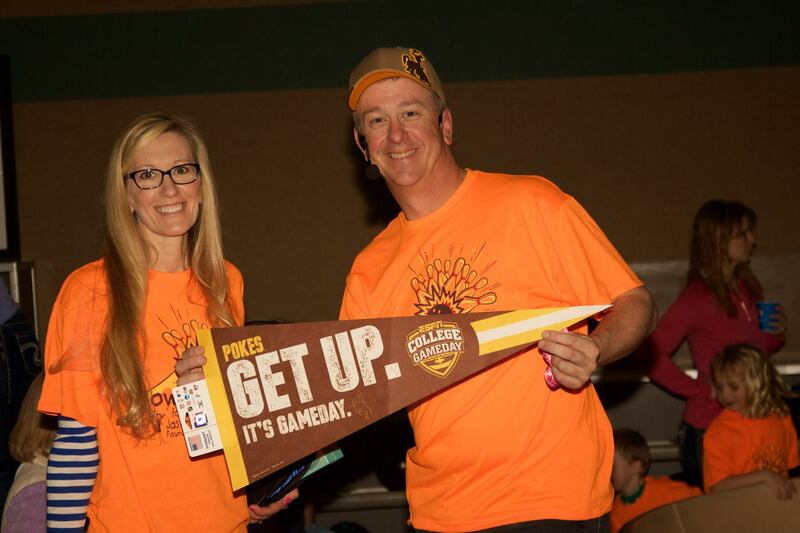 The success of our fundraiser is a direct result of great community commitment and participation statewide. 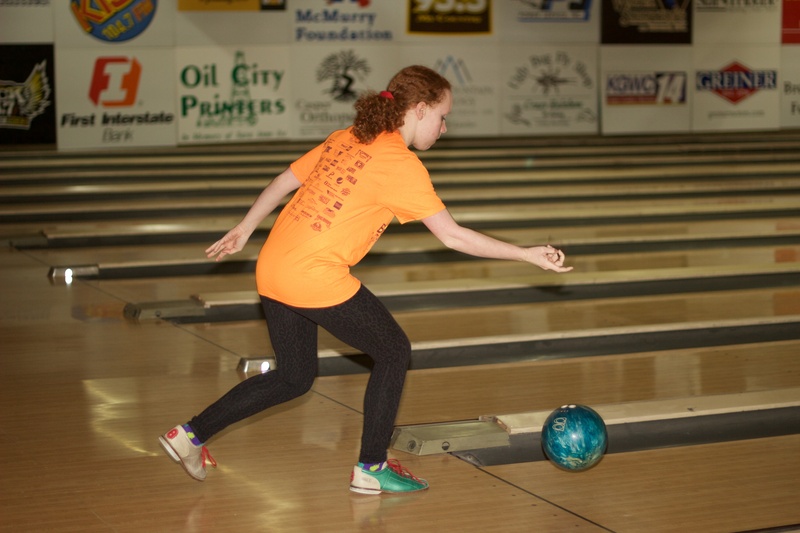 Your involvement, whether as a corporate sponsor, lane sponsor, prize sponsor or bowler gathering donations, is a very important component in our success. Thank you for your support!